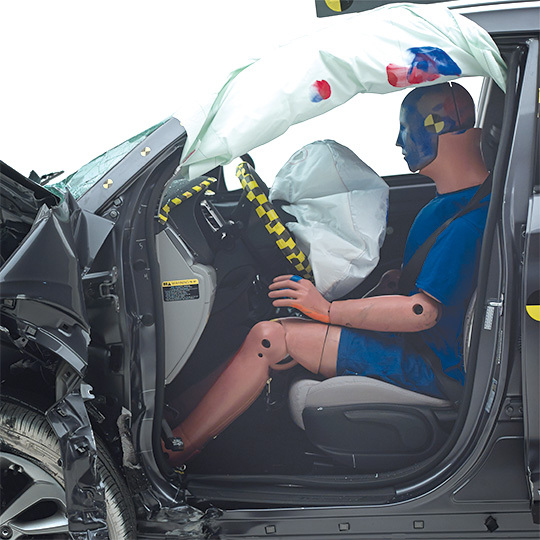 The 2016 Hyundai Tucson was the only compact SUV in its class of Top Safety Pick contenders to be true to the honor this week when the Insurance Institute for Highway Safety (IIHS) tested them all for the small-overlap crash test on the passenger side. 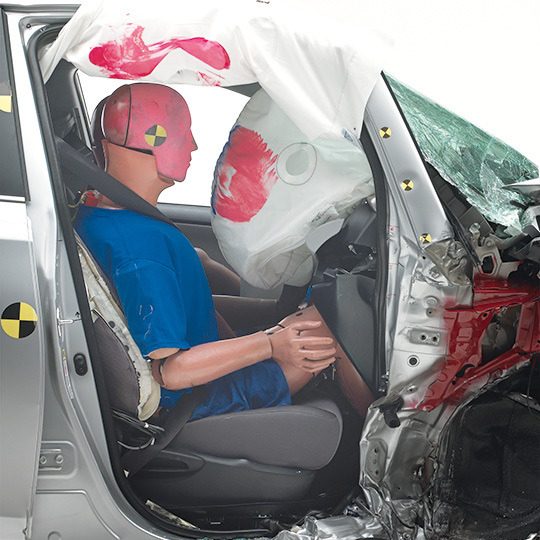 The small-overlap test has been the great leveler of new vehicles in the past four years since the IIHS began the test which crashes just 25% of the vehicle into a fixed barrier. The crash replicates a minor head on collision or striking a tree or pole. Since the test has been implemented it is a requirement now to achieve a Good rating to be eligible for the IIHS Top Safety Pick honor that many automakers use to sell their models. Top Safety Pick + requires the additional step of offering a crash prevention system with automatic braking as an option. 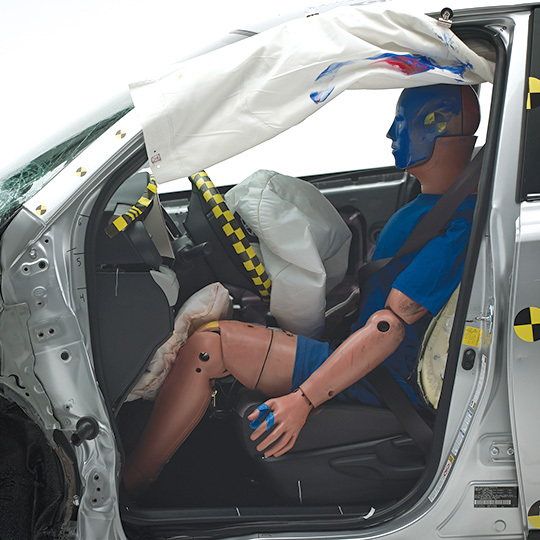 Because the IIHS has only been applying the small-overlap test on the driver side of vehicles, some of the automakers it has been revealed have only been upgrading the structures of their cars and SUV’s to perform the test on that side. 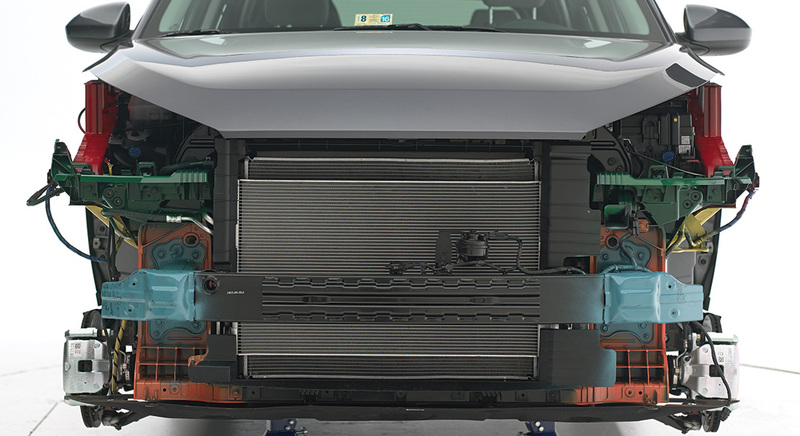 In such, their additional steel brackets, gussets, or reinforcements in some cases are clearly only applied to the driver side to achieve the Good rating in the test and then to earn the Top Safety Pick rating. The passenger side, left unprotected. 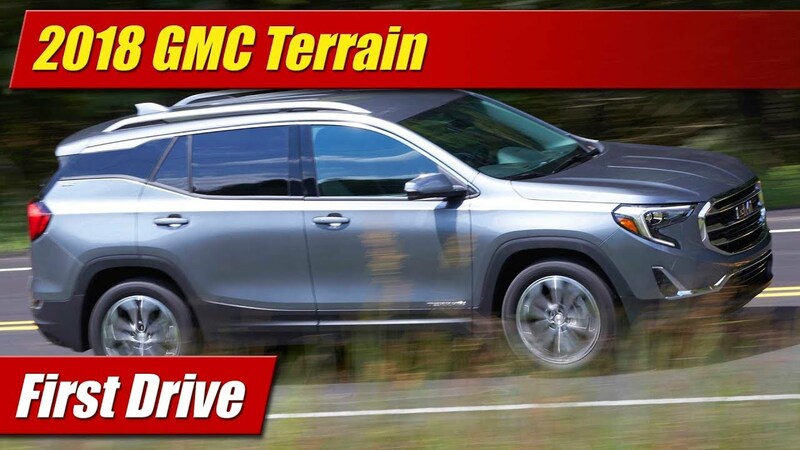 The shocking report issued this week by the IIHS where all seven Top Safety Pick contenders from the compact crossover SUV class were re-tested on the passenger side showed all but one didn’t achieve the same rating on the passenger side as they did on the driver side. The Toyota RAV4 was the worse performer, with an additional 13-inches of crush into the passenger side which would cause massive injuries to a human being above that of which the driver might sustain. If this had been an official test, the performance would have received a Poor rating. 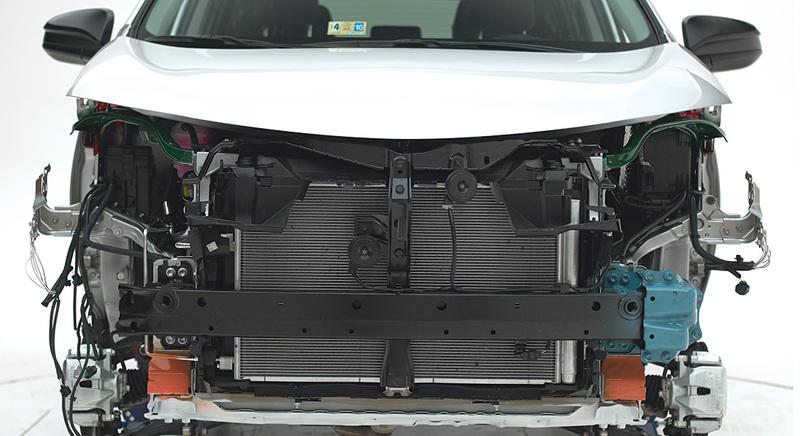 Pulling the bodywork off the vehicles showed that on the RAV4 in particular clearly had reinforcements added to the driver side but not the passenger side. Other vehicles tested appeared to be symmetrical in their structures but still performed worse in the passenger side crash. These were the Subaru Forester and Nissan Rogue, both of which only achieved a Marginal rating in the crash. The Buick Encore, Mazda CX5, and Honda CRV only achieved an Acceptable rating. All of these performed with a Good rating in driver side tests. The new for 2016 Hyundai Tucson was the only one of the seven that performed with a Good rating on the passenger side. An inspection of its structure shows the same reinforcements to both sides of the front bumper. 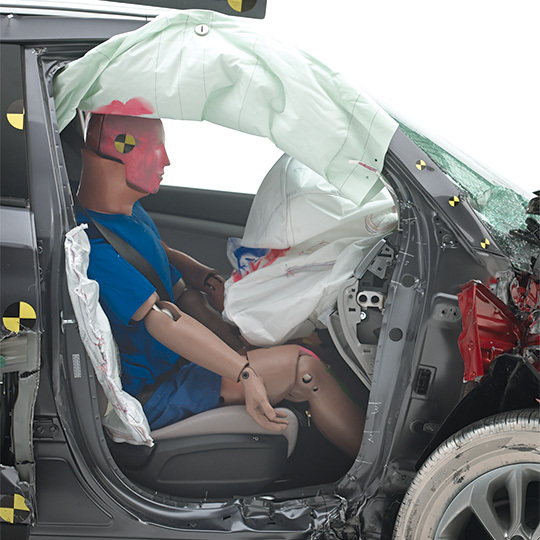 IIHS testing is a purely informational measure and it must be pointed out that none of the automakers in this round of testing are technically breaking any rules. The tests do show however that some brands have more priority in earning a trophy to brag about than the true end result of better safety. Having discovered the massive inequality of ratings from driver to passenger side, the IIHS says they may very well begin testing the passenger side of all vehicles in addition to the driver side for their small-overlap tests. They say as soon as 2018, they could include it as part of the criteria for Top Safety Pick ratings.